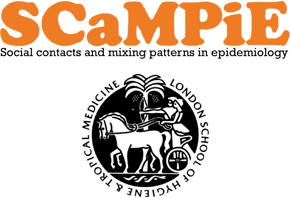 On April 18h, a workshop organized by the London School of Hygiene and Tropical Medicine explored the state of the art on Social Contacts and Mixing Patterns in Epidemiology, focusing on measurement techniques and field experiences. Ciro Cattuto was invited to give a talk on the experience of the SocioPatterns project in measuring dynamical networks of human contact. Thanks to Ken Eames and John Edmunds for a very stimulating meeting!